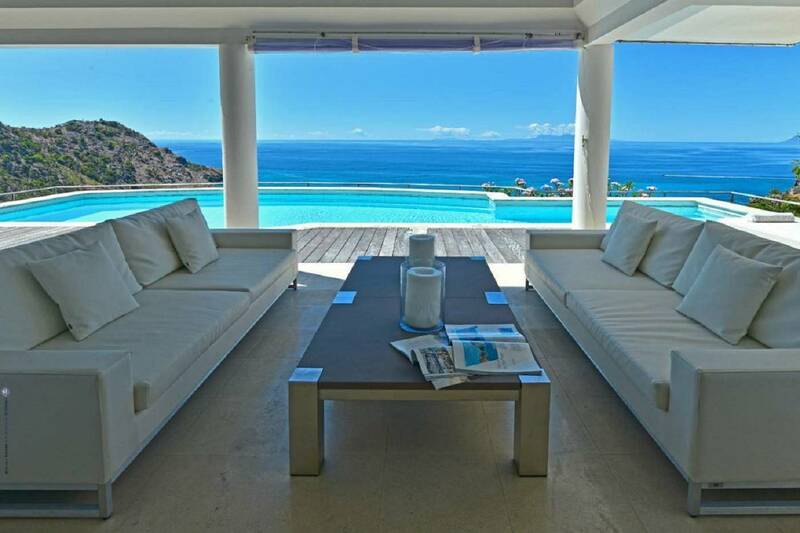 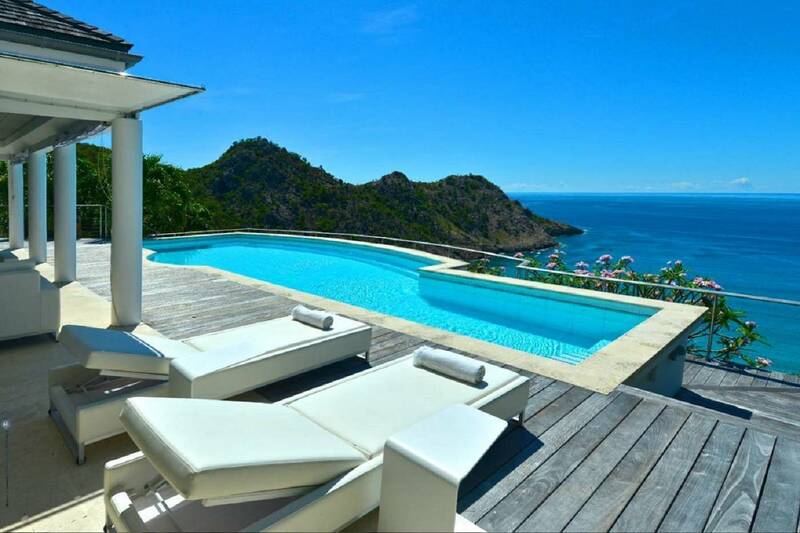 Dream About: Sharing a spectacular villa with best friends and totally relaxing. 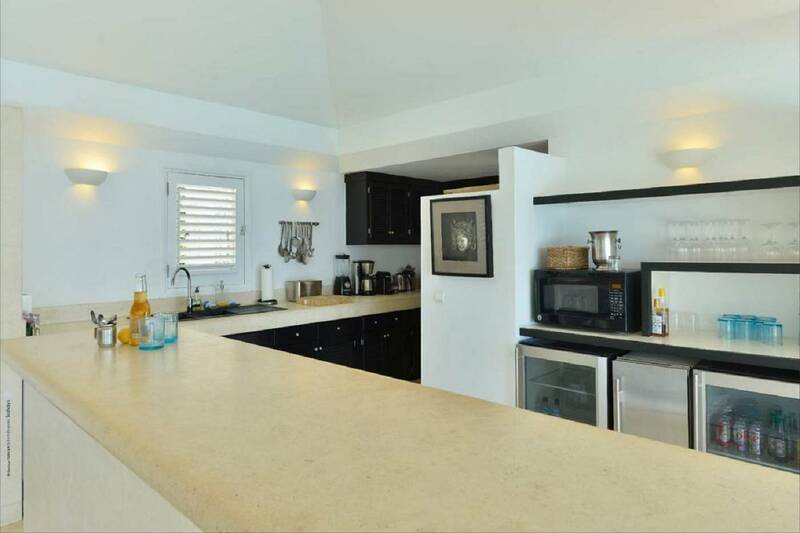 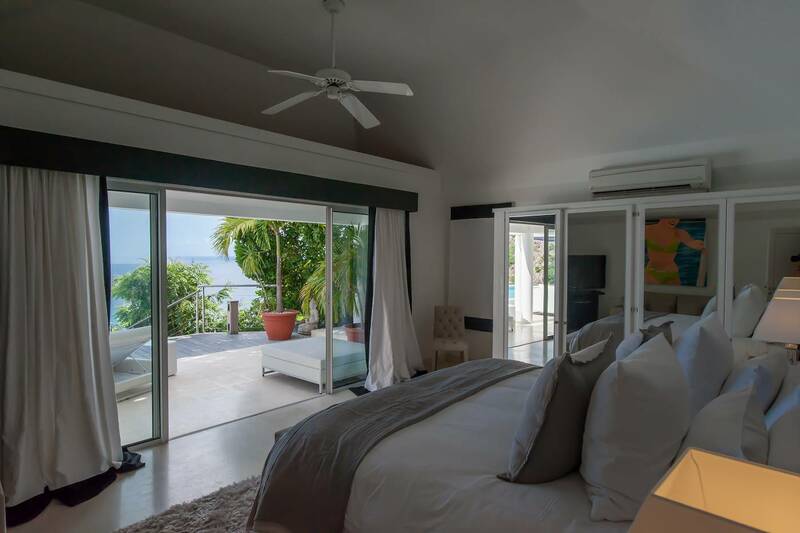 This gorgeous 2 bedroom villa offers a contemporary take on traditional West Indies design and a breathtaking view of Gouverneur Beach, its verdant hillsides and a peek at neighboring islands Nevis and St. Kitts. 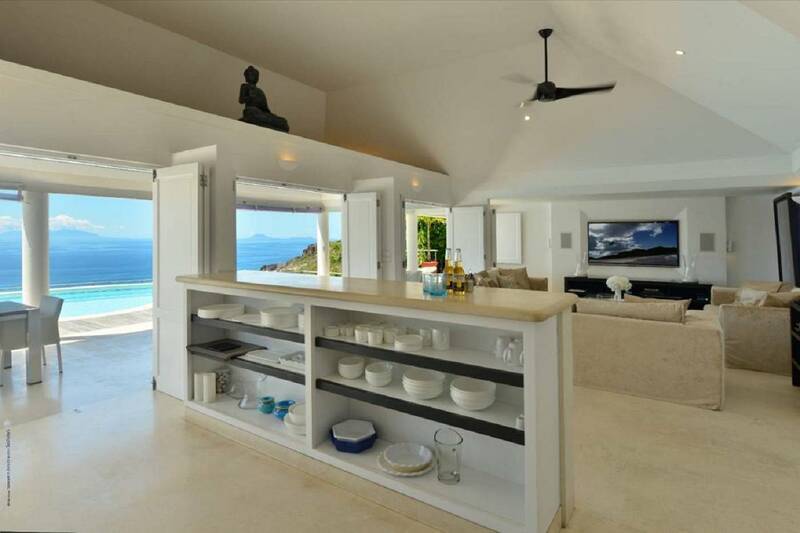 A sleek, foodie’s dream of a kitchen is included in the open floor plan that encompasses a spacious, comfy living room with a view of the sea. 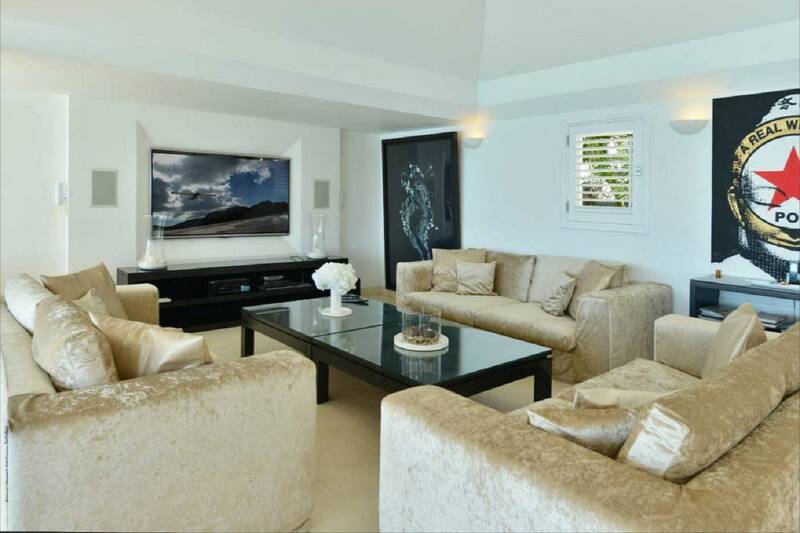 It does double duty as a home cinema courtesy of an oversized HD TV and a surround sound system. 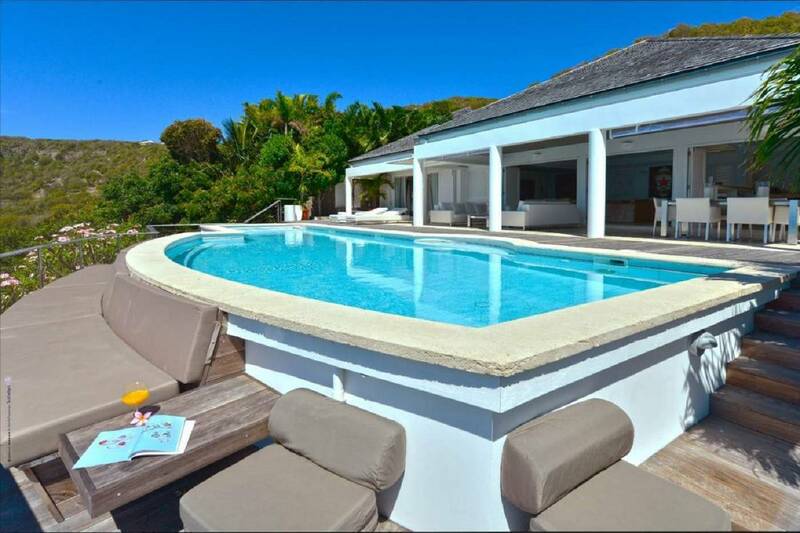 The pool, large and particularly beautiful, is the focal point of the outdoor living space which includes a portico’d dining terrace and a nearby BBQ. 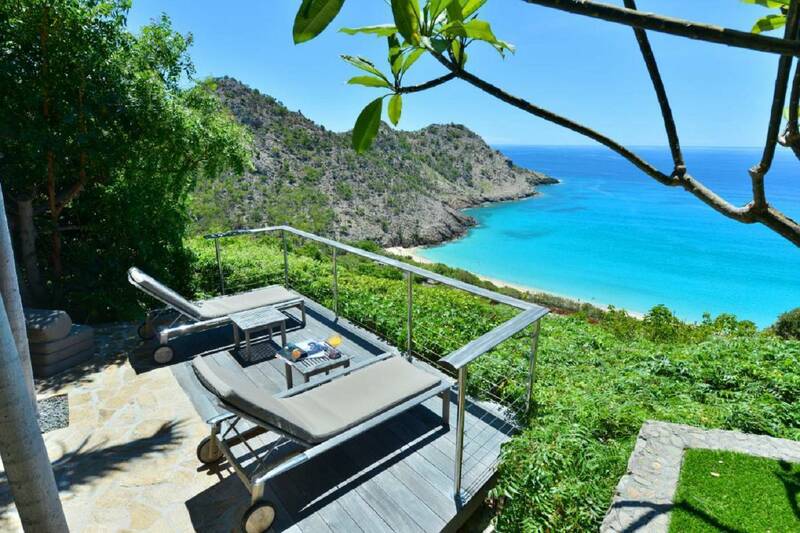 Shade seekers are accommodated in an off-a-bit area of the teak deck that has two plush daybeds. 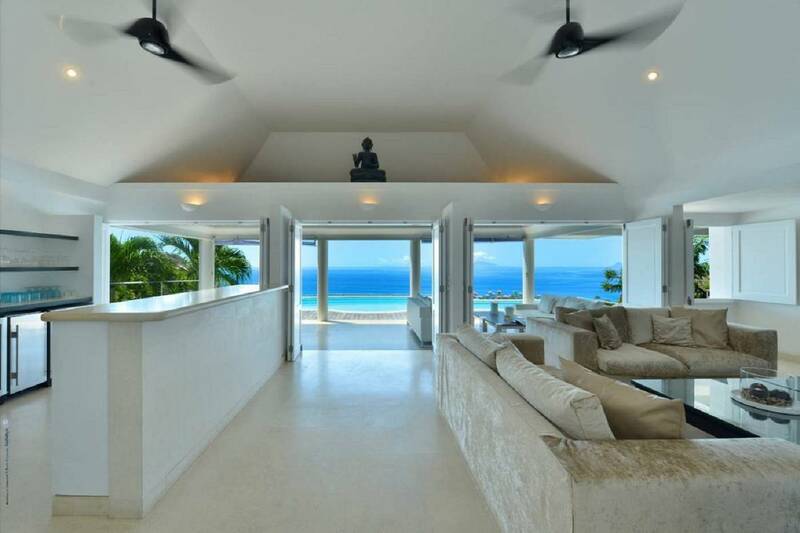 Lounge chairs on the lower-level area afford another place to relax. 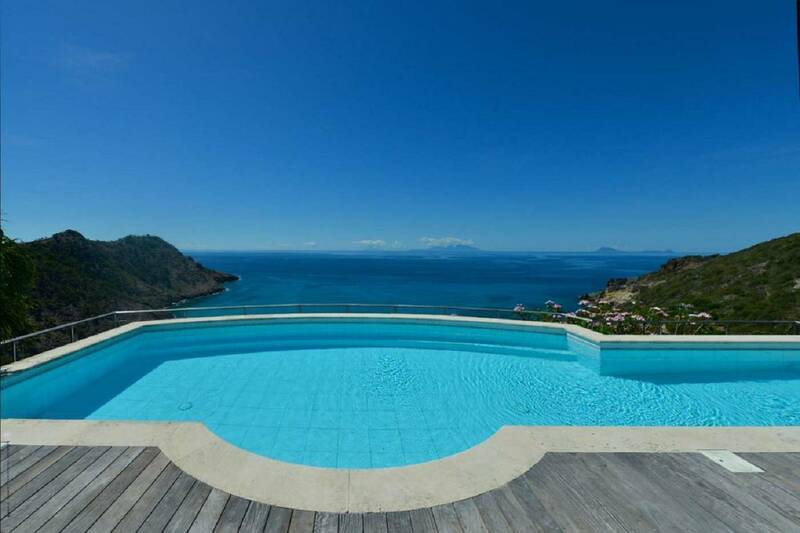 The view from here is truly spectacular! 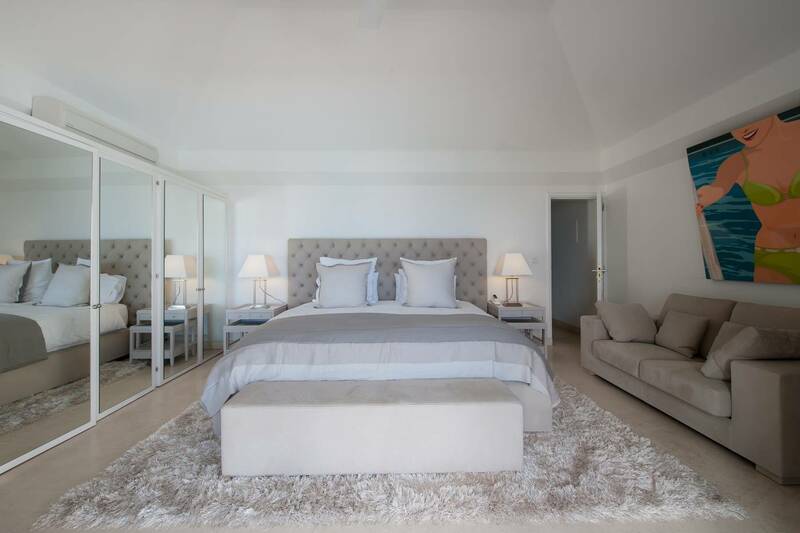 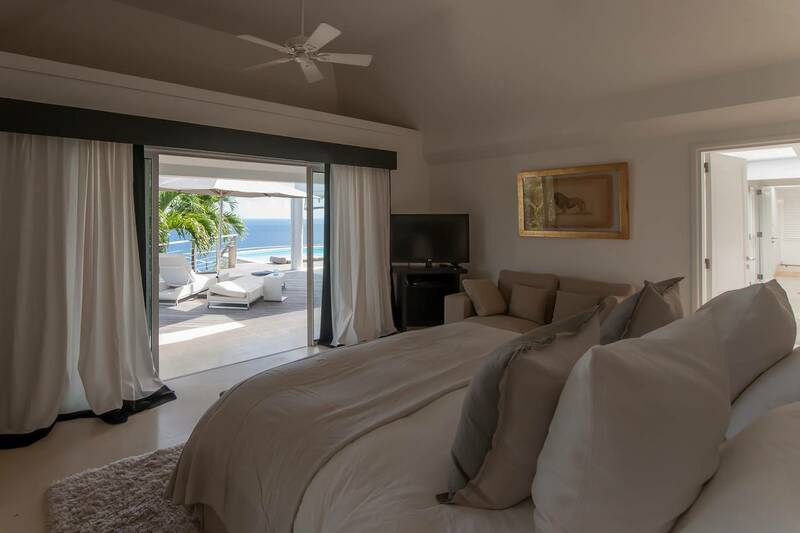 The two equally-sized bedrooms are on opposite sides of the villa, affording privacy, and feature king-sized beds, TV/DVD players and ample closet space. 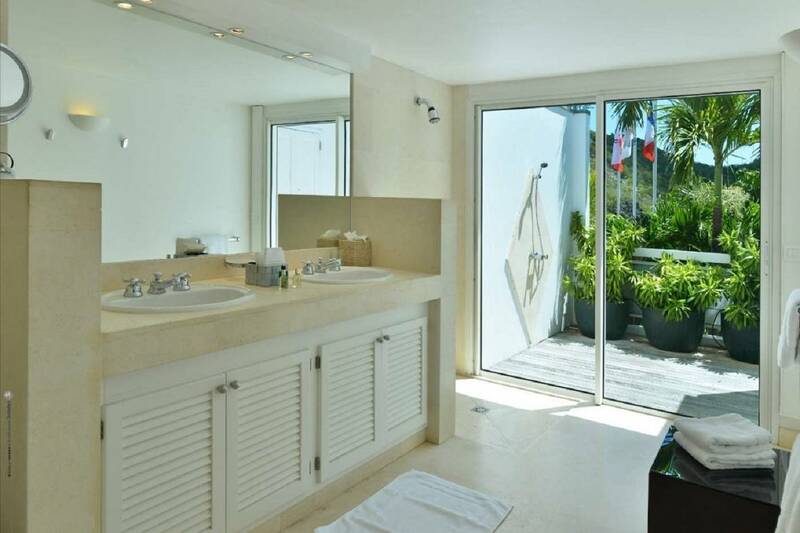 The en suite baths are beautifully appointed with twin sinks and indoor and outdoor showers. 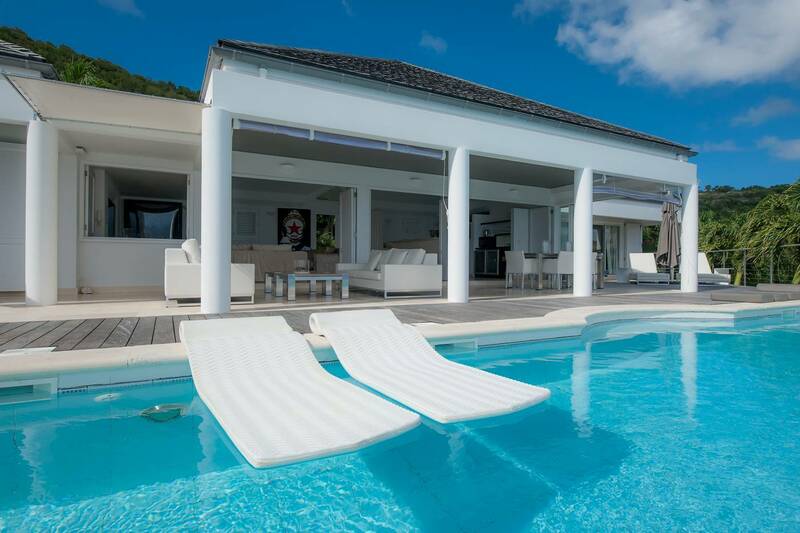 Glass sliders provide access to the pool deck. 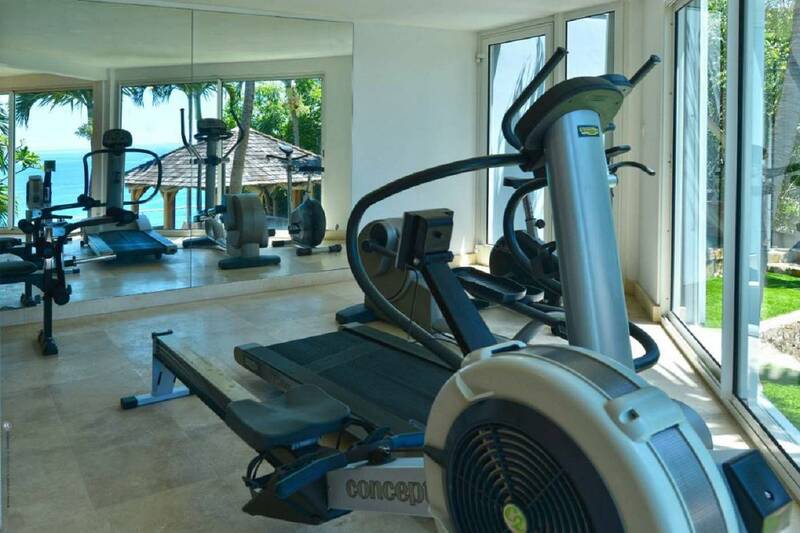 The villa’s fitness room is a nice bonus feature. 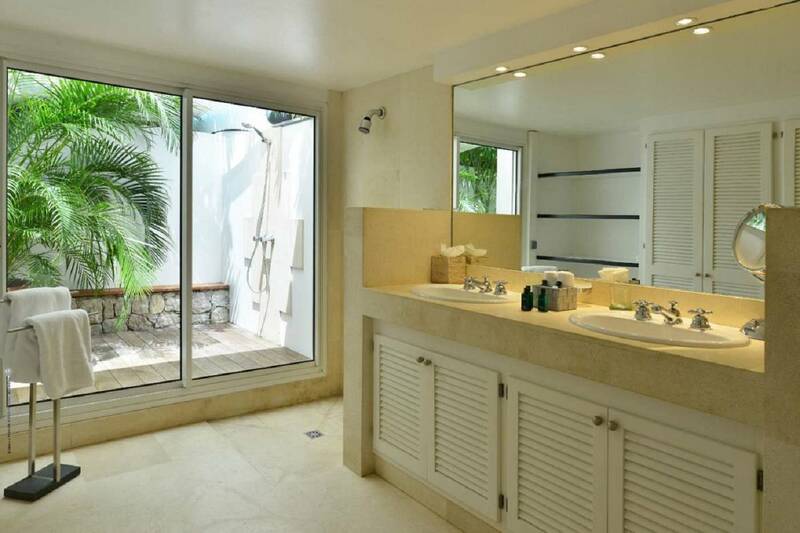 It’s exceptionally well-equipped and a sauna and a shower are conveniently adjacent. 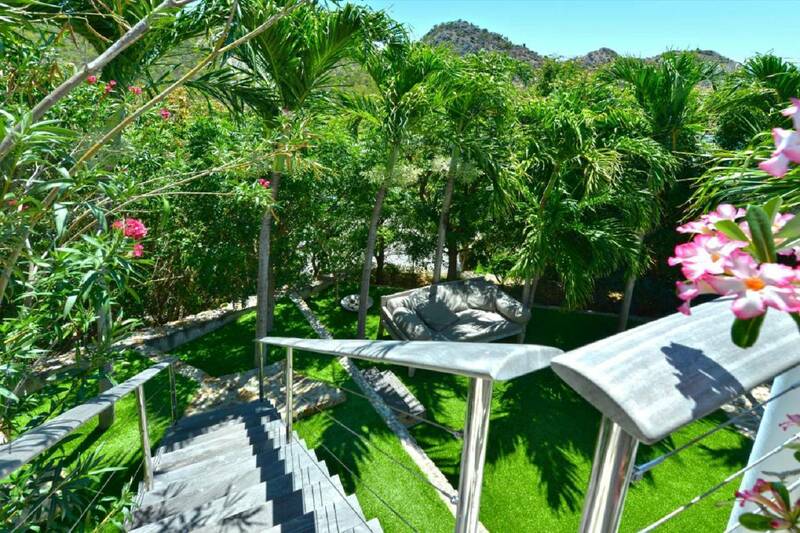 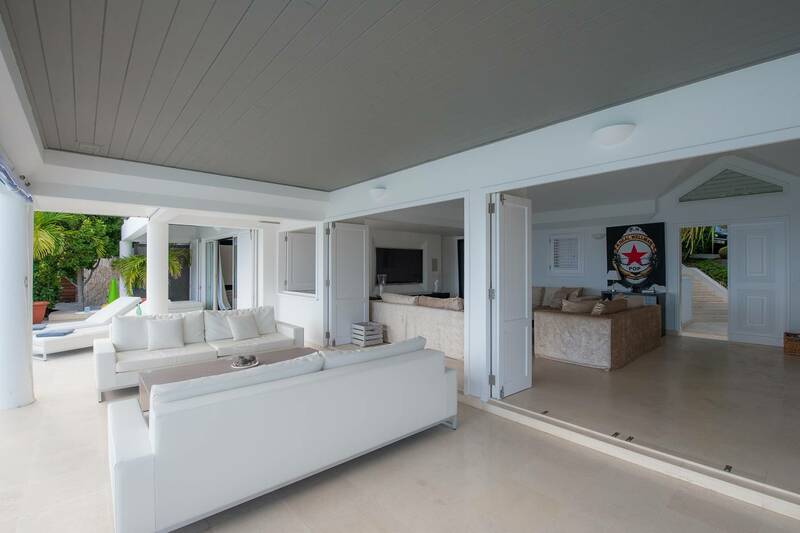 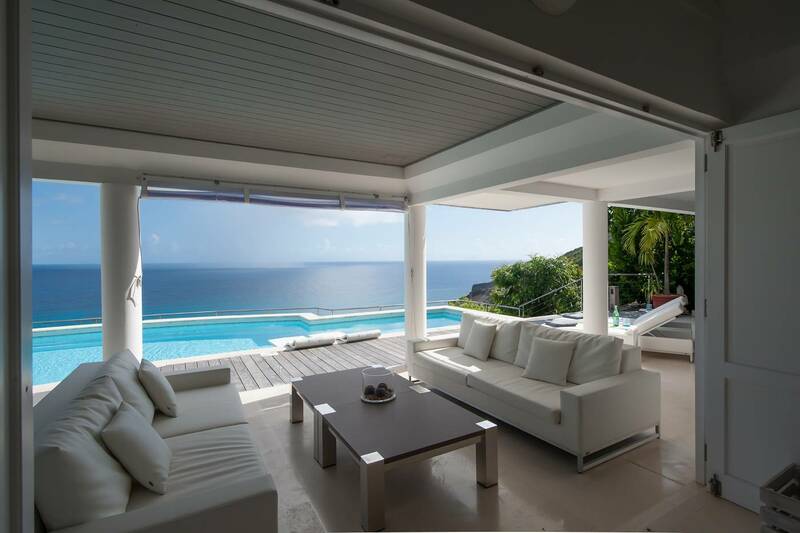 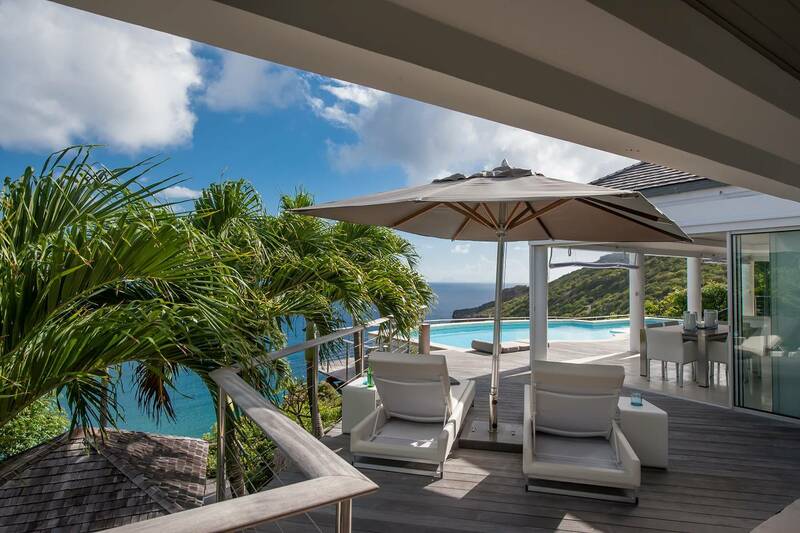 Villa Reflet de la Mer is just a few minute’s walk (steep) to pristine Gouverneur Beach and a short drive to Gustavia’s shops and restaurants. 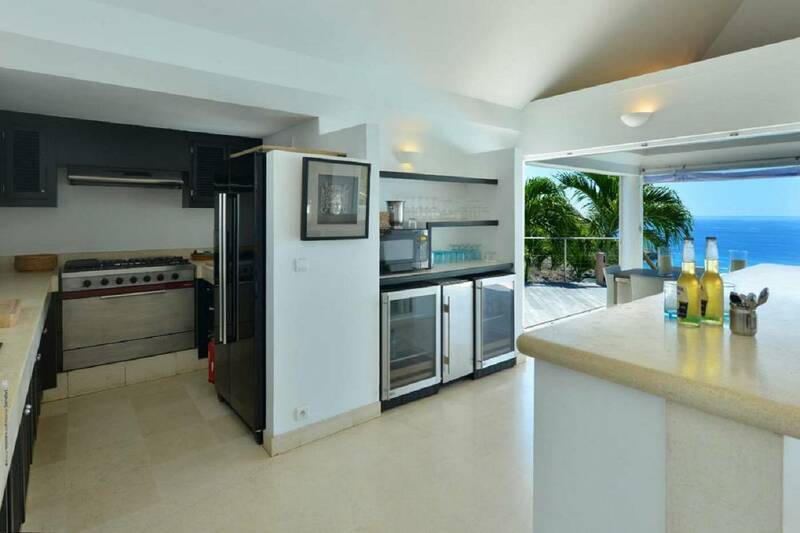 If 3 bedrooms are needed, Villa Boudoir can be added; if 6 bedrooms are needed, add Villa Mirage. 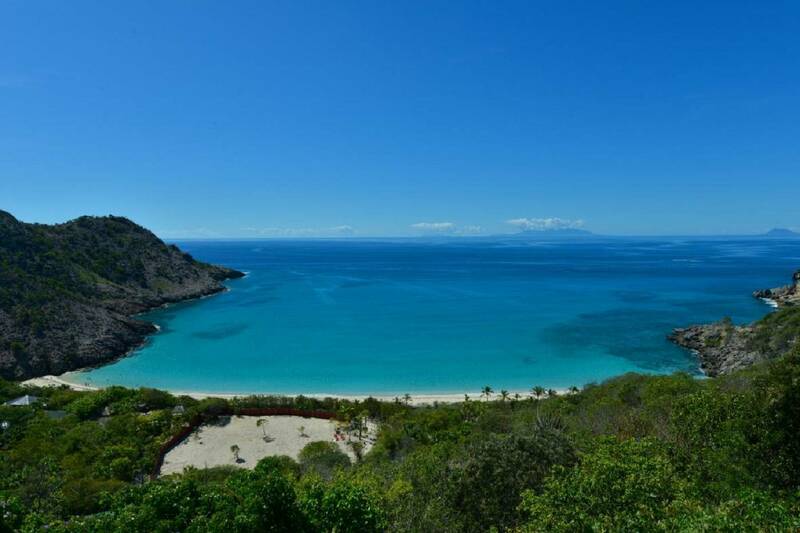 Being so close to Gouverneur Beach. 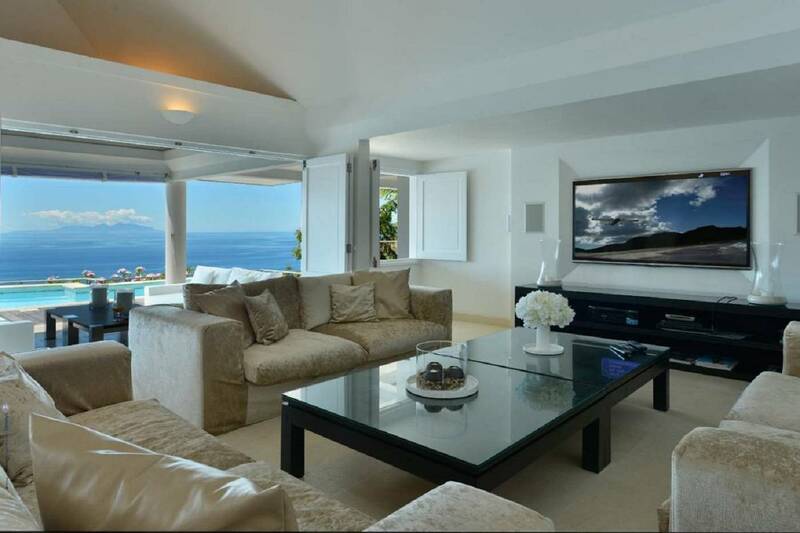 The living room functions as a home cinema. 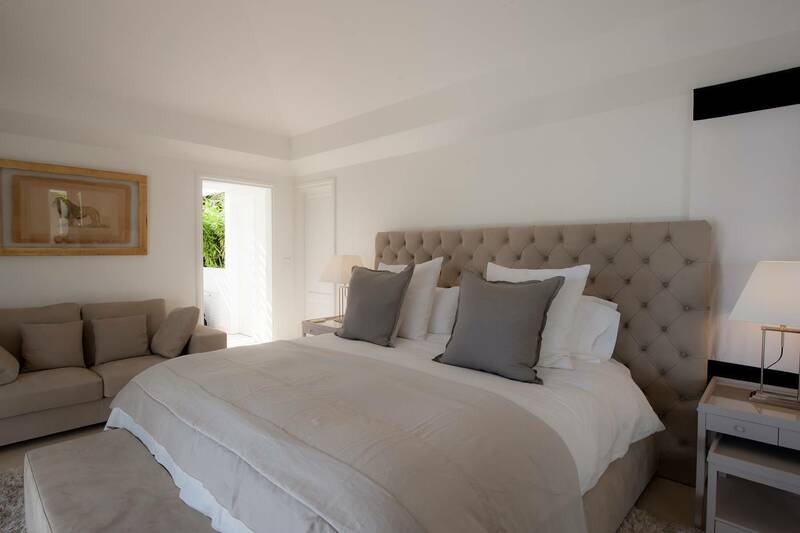 There's a gourmet kitchen, a spectacular pool, a fitness room, 2 en suite king bedrooms and a gorgeous view!